Gary Kilian, 70, of Rapid City died Friday, Feb. 1, 2019. Gary was born in Hoven Hospital on Sept. 25, 1948 to Leo and June (Beckler) Kilian. He grew up on a farm with his parents and sister, Linda. The family moved to Gettysburg when Gary was in second grade. Gary worked for Gary Bliese Machine Shop until he graduated from GHS in 1966. He joined the US Navy in 1967, doing basic training in San Diego, CA, and then serving on the USS Enterprise for APX for two years off the coast of Vietnam, and one year “in country” of South Vietnam. He was honorably discharged October 1970. He enrolled in SDSU in 1971 where he earned a degree in Wildlife and Fisheries Science, graduating in 1975. Gary married Kathy Trembly, May 12, 1972 in Gettysburg, SD and to this union two daughters were born. He began his career in Custer State Park, then went to work for NRCS in Britton, SD, Burke, SD, Onida, SD, Bismark, ND and Dickinson, ND. He settled in Rapid City in 1996. Gary was an avid outdoorsman. He loved to hunt, especially bow and rifle, and also loved gardening and fishing. He retired shortly after his first wife Kathy died in 2000. He married Tami Kisner Oct. 7, 2017. He is survived by his wife Tami of Rapid City, his daughters, Kari (Travis) of Colorado Springs, CO and Kaela (Luke) Anderson of Rapid City, SD; grandchildren, Rosemary and Warren Wadeson and Beck, Amelia, Avett and Magnolia Anderson, Tristen and Trinity Kjos; his mother, June Kilian of Pierre; sister, Linda (Reg) Wood of Pierre, SD and his beloved dogs, Choxie, Sadie and Chesie, and many aunts, uncles, cousins, nephews and nieces. He was preceded in death by his father, Leo and his first wife Ruth Kathryn Kilian. 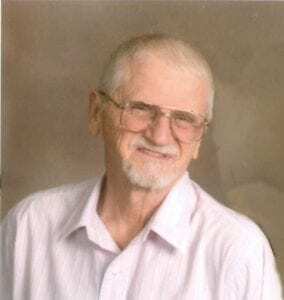 Celebration of Life service will be Saturday, Feb. 9 at 1 p.m. at St. Paul’s Lutheran Church in Rapid City. Burial will take place at a later date. Friends may leave their condolences on Kirk Funeral Home’s website. Linda we are sad to see your brother’s death. may God’s peace comfort you.